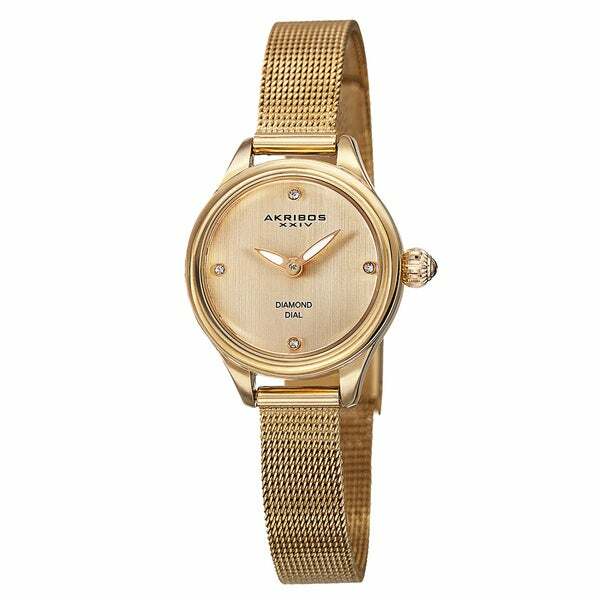 Bought this classy timepiece for my wife and she loved it.The watch have a adjustable band,,,you can't lose with that and the fact it's constructed out of stainless steel.A must buy for a special lady at a good price. I ordered this because it was very classy looking, and had an adjustable wristband. Sadly, I had to return it because I had difficulty with the adjustment on the band, and even one adjusted, it was just too big for me. If your wrists are not as small as mine, it's a great watch! I was very impressed; very classy watch! Pretty but hard to keep closed. The catch does not secure well. I have, fortunately, caught it as it fell off my arm.